We are now in the midst of the holiday season. 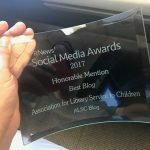 How does a public library (or school library) handle the holidays? Or, how should a public library handle the holidays? This time of year is a potential minefield. What can we as community agents do to be inclusive, celebratory, and not make anyone feel marginalized? Should we attempt to embrace all holidays? Do we ignore overtly religious references? I’m going to share my library’s practice for both winter holiday seasonal programming and decorating. I’d love to hear what other libraries do for the winter holidays and for you to share your perspectives on the entire season. That’s a lot of celebrating. Some questions to consider include: does Santa or Mrs. Claus make an appearance? What about a tree, menorah or other accouterments of the season? Ideally, there seem to be two main directions a library can take: go with a general winter décor, or go all-in and embrace all holidays equally. At my library, the decorations are “wintry” but not holiday specific; with lots of snowflakes, evergreens, snowmen, and forest animals. Currently we have a giving tree set up in our entrance lobby. We partner with a local charity to collect gifts for local families. For those not familiar with giving trees, each paper ornament has written on it a wish list item for the families. Patrons select an ornament and bring back the gifts to the library for delivery. 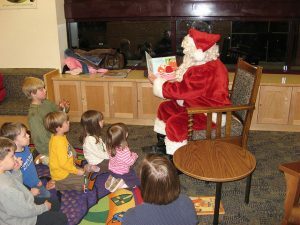 Some libraries in my area still have Santa or Mrs. Claus make an appearance at special storytimes. These libraries report that the programs always fill up quickly and are wait-listed. The closest my library comes to having the head elf show is at a very popular pet photo with Santa program we coordinate at a local dog daycare. We also participate in the village’s annual Holiday Rock on the Fox event which features the lighting of the village tree, a candy cane hunt, and welcomes Santa into town. These are both off-site collaborative programs. Seasonal programs we hold at the library includes a performance by a high school madrigal choir, and a DIY evergreen door swag. Some festive youth programs we are holding in December include a gingerbread house program, a snowman program, and a Harry Potter Yule Ball after hours lock-in. How does your library handle the winter holidays? 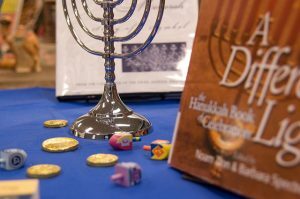 Do you decorate, have a tree, menorah or other symbols of the season? Does Santa visit? We’d be interested to hear how different libraries treat the winter holiday season. Please include the Pastafarian Holiday (the date is the Pastafarian’s choice between late November and early January). Also Satanists’ Yule Holiday or Season (starts on winter solstice and can last 12 days, but December 23 tends to be the most important day/night). You might want to note either that the date for Winter Solstice can be anywhere between December 20 and 23 depending on the year and in which hemisphere you live. Also Krampusnacht on December 5 (Christian) should be added. Thanks for you additions, Rebecca. I tried to preface my list by stating that it was a “sampling” — I knew there would be holidays that I missed/excluded. I used several different sources to compile my list, and most of these were not on any of them (with the exception of Krampusnacht). The date listed for the solstice is for this year, 2016. I would recommend not celebrating holidays in the library. If you do, please understand that your are being deliberately unwelcoming. It is up to us to make our programming as inclusive as possible for our community’s families. 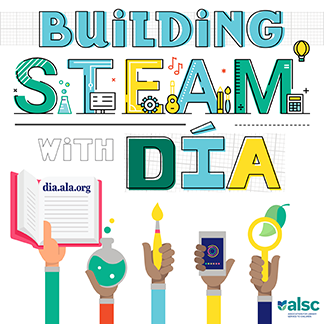 One of the ALSC Core Competencies is “Recognizes racism, ethnocentrism, classism, heterosexism, genderism, ableism, and other systems of discrimination and exclusion in the community and its institutions, including the library, and interrupts them by way of culturally competent services.” I believe that outright holiday programming, especially those that highlight or emphasize the dominate culture, are not in line with this competency. It’s impossible to “embrace all holidays equally”, as evidenced by the last two comments. Thank you, Bryce, for so eloquently putting into words what I believe. I become very sad when people say “I have a clearly marked Christmas event so that the people [in the minority in my community] who have differing beliefs know not to come.” So…it’s a good thing to have a special time that people want to AVOID and not be welcomed at their library? Don’t put your “warm fuzzies” above the purpose of your library. Great post Bryce, thanks for sharing here! Thanks for sharing your POV, Bryce. This is the type of discussion I was trying to generate. Thanks also for sharing the link to your blog. (Admittedly, I am surprised that no one has spoken up for a “holiday-rich” environment.) Some of the networking events I attend regionally indicate that many libraries in my area still heavily celebrate Christmas, Santa and all the trimmings. (The Easter Bunny also makes his rounds.) I’m really interested to see if it is a geographically specific phenomena, or if it is more widespread. I work at a public library and I wish we wouldn’t celebrate any specific holidays. I’m Jewish, but the area I work in is predominantly Catholic, so not only do we have tons of Christmas stuff up, we often also put up religious Christmas stuff, such as a nativity scene, and it does make me uncomfortable, so I can easily imagine it isolating other non-Christmas-celebrating customers. 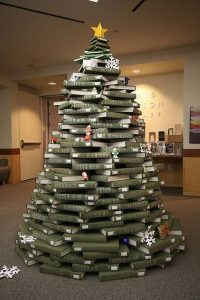 The library also usually puts up a menorah and a kinara, but it doesn’t feel inclusive, it feels like an afterthought. I think winter decorations, like lights, bells, or poinsettias, feel festive during a dark time of the year, but bombarding customers with Santa and such makes me cringe. Bah humbug I guess. Yes, there is a fine line to draw between nice decorations and bombardment with Santa obvious symbols of Christmas. Hanging pretty lights at this time of year in the Northern hemisphere is all very lovely but don’t think it necessary or inclusive to festoon every inch of the library with majority culture Christmas symbols either. Even Christmas book displays can be overwhelming, they need to be balanced with other interesting displays so they don’t dominate everyone’s field of vision at this time of year. You have made some fine points, Tess. Thanks for sharing your personal experience. After all the debate on he Storytime Underground Facebook page about winter holiday programming, I’ve been thinking about this a lot. There are many children’s librarians who put energy into rationalizing Christmas-based programming. But I strongly believe that energy would be better spent coming up with new, inclusive programming to replace traditional Christmas-based programming. For example, instead of gingerbread houses (which are arguably not technically “Christmas” but, really, come on) why not do a more open building craft? Call it “Graham Cracker Crafts” and let people build whatever they want. Offer decorations in colors other than red and green. Sure, folks can make houses. But maybe they’d like to make fire trucks or trains. Your suggestion for a graham cracker craft is a good one, Destinee. And it certainly is an inclusive way to have a similar program. Admittedly, I will probably still use the houses because of convenience: I can buy the houses pre-assembled at costco for a low price. I should probably also share that I don’t limit the children in how they choose to decorate the houses — I put out lots and lots of candy (including tons of leftover Halloween candy donated by staff) They can make the houses look like anything their hearts desire. Making the houses is part of my monthly book discussion for K-2 graders. Each month we read a book and then do an art project related to the book. In December, I typically choose either Hansel and Gretel or a variation of the gingerbread man story, and then for our art project we make decorate the houses. This is a program that could be held at any time of the year, but the kits are most readily available in November and December. I would like to add the Humanist holiday of HumanLight to the list. It is celebrated on December 23rd and was created to provide Humanists with a secular approach to the holidays during that time of the month. Thank you, Catherine. This is another holiday that was not mentioned in any of the lists of December holidays that I consulted. Hang in there, Tess! What you said about the menorah and kinara feeling like an after thought is key. I also think it’s easier, kinder, and more inclusive to just celebrate with decorative lights, brights, and natural winter wonders. The past few years we have invited young adults in our community to come and paint the windows. They love this! While the occasional holiday tree or menorah has been known to show up, (we guide them, but don’t force the adherence to holiday free images to the extent that we’d make them erase something) we mostly end up with forest animals, dragons in the sky, Harry Potter phone booths, Pokemon characters and lots of snow! In Youth Services, we also make sure to have all the holidays represented in a book display for the season (to the best of our ability – there just aren’t too many children’s books available on Satanism…; ) but that’s as far as we go any more. It feels right. If a patron feels a book on a particular subject is missing or under-represented, as with any other book suggestion or request, we’ll look for it to display – and if we don’t own it – to purchase. Happy Hoola Days! Hippy Holly Days! Happy Hippo Days! Great ideas, Kelly! I like the window painting program, especially.